Radiation therapy for cancer treatment directly affects the skin. Patients planning to receive radiation should understand the skin side effects of radiation therapy and what measures they can take to prevent damage; for example using products that include calendula, an herb known for anti-inflammatory properties and help with all kinds of skin irritations and burns. There are steps you can take at home to limit and soothe the side effects of radiation on your skin. Gently cleanse the area daily. Use just water or mild, scent-free, dye-free soap approved by your physician. Avoid scrubbing the area and don't use a washcloth or bath sponge, which may irritate the skin further and cause pain, discomfort, or open skin. Avoid exposure to tanning beds or the sun without adequate protection. When possible, cover the treatment area with clothing. When the treatment area can't be covered, use sunscreen and reapply frequently. Dress to promote healing and avoid friction. Take special care to ensure clothing that comes in contact with the treatment area is not excessively tight, rough, or scented. Traditional underwire bras may need to be replaced by softer, looser sleep bras, for example, if the treatment area is on the torso. Moisturize regularly. Apply a physician-approved moisturizer at least twice daily to promote healing and protect the skin. Avoid using moisturizer immediately before a treatment; allow at least four hours for the skin to absorb the moisturizer before your scheduled therapy appointment and do not apply the moisturizer less than 4 hours prior to a radiation therapy treatment. Creams and lotions containing Calendula are recommended to help maintain the skin after repeated radiation therapy treatments. 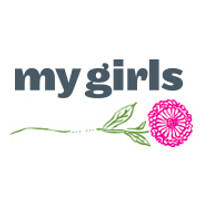 To learn more about My Girls™ Skin Care products for those undergoing radiation treatment, visit us on the web here.